Officially the new pastor of Jesup, IA! 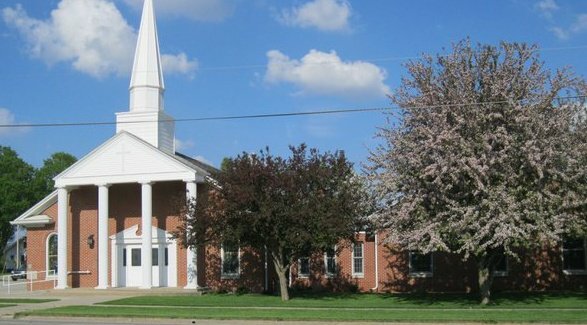 I am delighted to announce officially that I am now the new pastor of First Presbyterian Church of Jesup, IA! I am so excited to serve with this congregation. This church is full of people who are family to one another, sometimes by blood, mostly by the love they have for each other. They have welcomed me with open arms and have been incredibly hospitable every step of the way. Members of the congregation have spent the past week and a half getting the manse ready for me to live in it and it looks beautiful. The church seems excited by my passions for using technology in church life, especially in worship. It’s a very relational church and as I am a very relational person I think that it will be a very good fit! There is one worship service each Sunday and the worship style is blended with contemporary music every other week. The town of Jesup has a population of about 2,500. Average worship attendance is about 80. Waterloo is the closest bigger city, only about 15-20 minutes away. Cedar Falls is about 30 minutes away and has a street with a great coffee shop, knitting store, and bike shop all in a row. I think I will be spending a lot of time on that street! Cedar Rapids is about 45 minutes away with all sorts of things going on there. A big thank you to everyone who has been so supportive of me, praying for me throughout feeling a call to ministry in the 8th grade until finding this call. It’s been a long journey to get to this point and I am so very excited to see what God has in store for me in this exciting new beginning! Your continued prayers would be appreciated! This entry was posted in Church Life, Current Events and tagged church, FPC Jesup, Iowa, Jesup, minister, new position, pastor, welcome. Bookmark the permalink. You are so awesome and this church is so lucky! I can’t wait to hear more as you spend time in Iowa!